Keystone, acoustic/electric, 5-string concert in Poplar and Western Red Cedar. “Inspire” is an unusual instrument in that she exemplifies our wabi sabi aesthetic while at the same time she demonstrates our innovation. 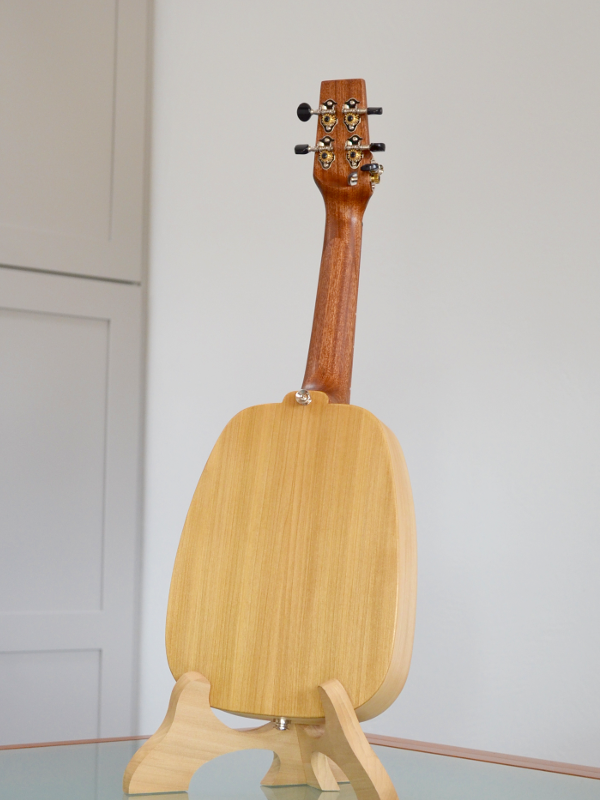 She’s a standard concert-size in very clean-looking Poplar and Cedar. Simple, with very little bling. 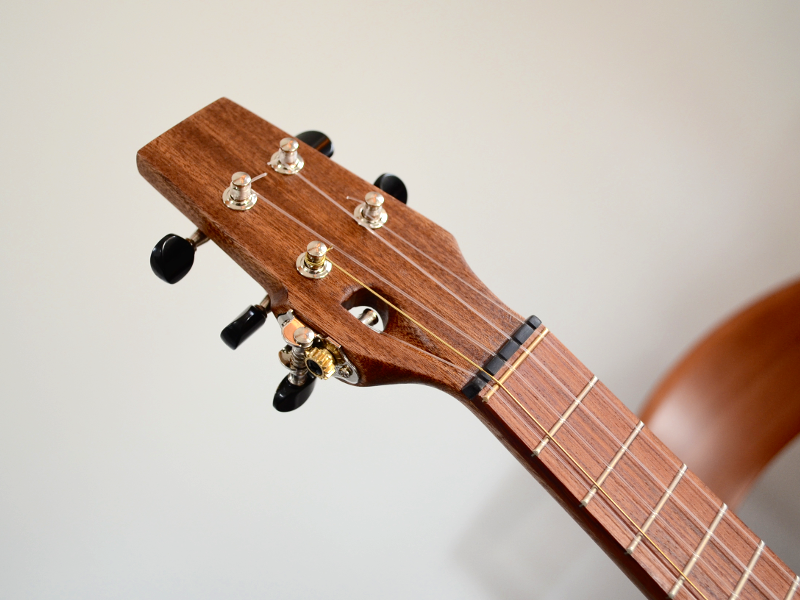 But upon closer inspection you see an extra tuner hidden on the side of the headstock. Yes, she’s a 5-string. A compact, concert size instrument with a big, rich-sounding voice. 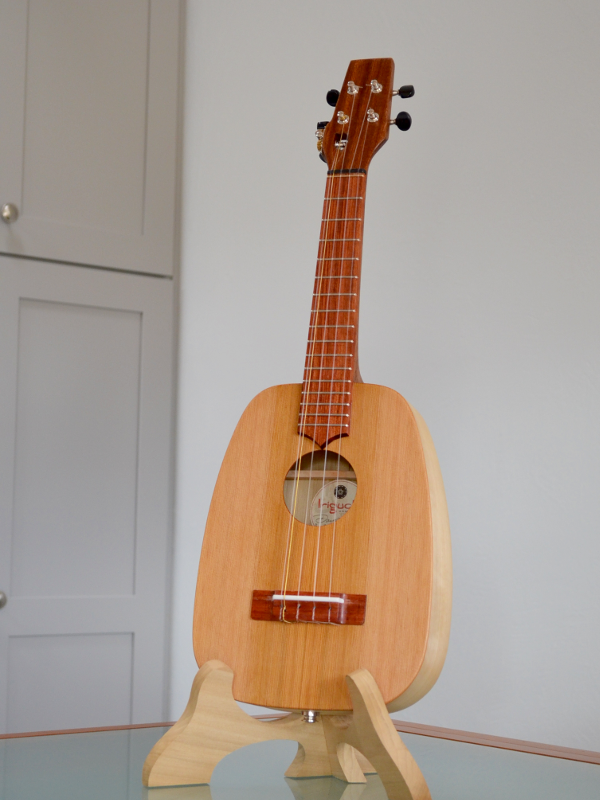 She also has a K&K Aloha Twin passive pickup inside for when you want to plug in. Her demure looks hide a big heart!